Finished in Urban Casual on select hardwoods and veneers. 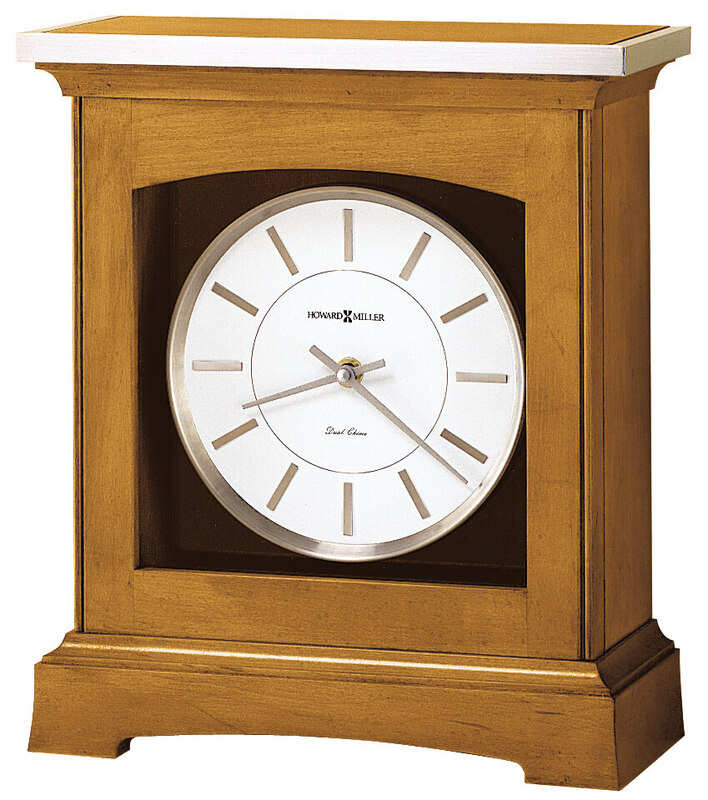 Simple lines best describe this mantel clock, which offers a flat-top pediment with a nickel-finished molding. You will save $172.50 (30 %) on this Howard Miller Urban Mantel 630-159.